Yes, oops, forgot to take the photo earlier again! 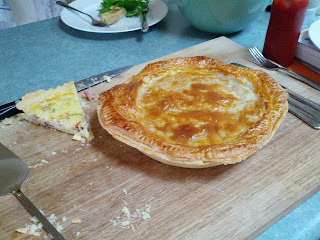 After another enforced break from baking, I've come back in force with two pies! Oh yes. I had some friends around last Sunday so decided to bake a meat pie (as previously made) and my first quiche. 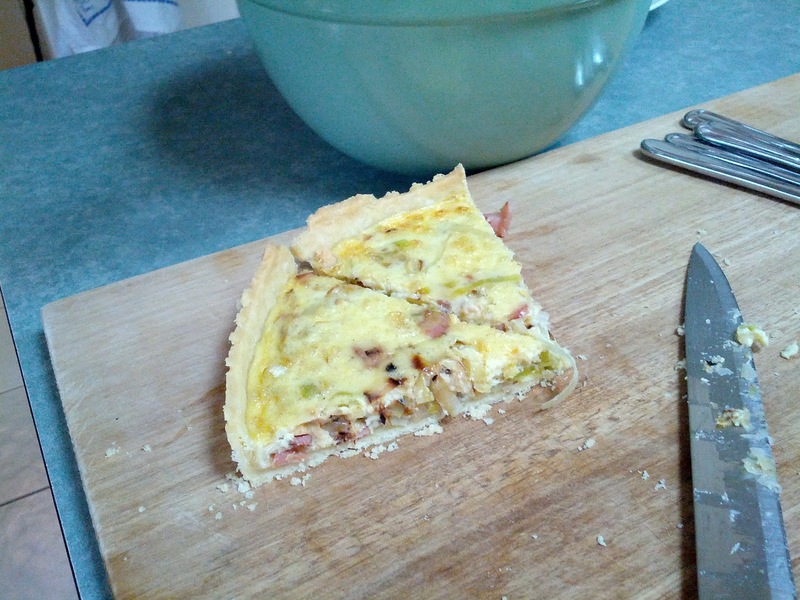 I started with the Quiche Lorraine recipe from Stephanie Alexander's Cook's Companion and modified it to add some leek. Blind-bake the pastry case per the meat pie recipe. Then turn oven to 170ºC. Fry up the bacon and leek until the leek is soft and bacon browned. Allow to cool a little. Mix up the eggs and cream. Season with some nutmeg, salt and pepper. Scatter the bacon and leek over the case bottom and pour the mixture in. Cook for 20-35 minutes, until firm. 25 minutes worked for me. And that's it. And it was so delicious!